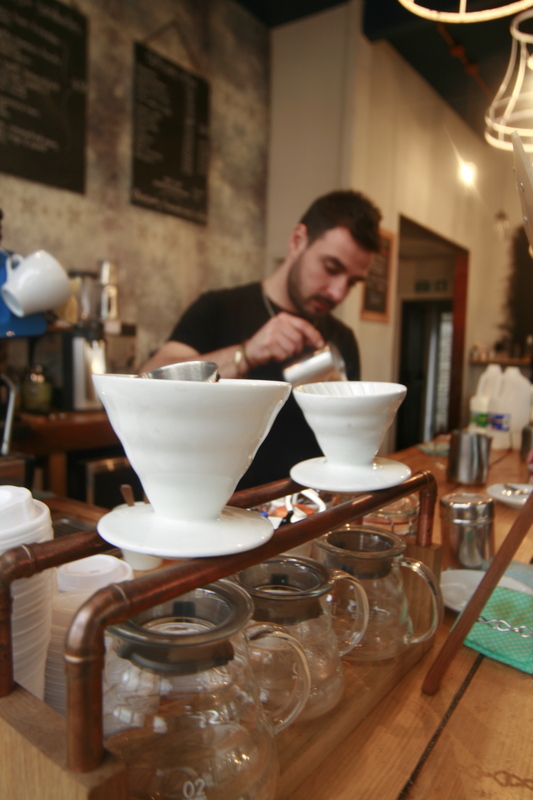 A couple of weeks ago I made my way to Ealing Broadway to attend the home brew coffee course at the Artisan Coffee School, which is located within the Artisan coffee shop started by Edwin and Magda. The school offers an impressive variety of coffee courses from an Introduction to Coffee to Latte Art, to Home Brewing, right through to courses on how to start your own coffee shop. As someone who enjoys far too much coffee on a daily basis, I was really interested to find out more about what actually makes a good coffee. Even though the course is only 90 minutes, you get to learn a huge amount of really interesting factors that are involved in brewing your own coffee. The different brew methods for example, which include V60, (my favourite) aeropress, cafetiere/french press, and drip coffee. I had no idea there were so many different methods, did you? Actually to be honest, I hadn’t really given it much thought before, which seems silly as I’m such a coffee addict. You also get to learn how the temperature affects flavour, how agitation increases extraction, how time affects sweetness and why how big or how small a coffee bean makes a difference. All very fascinating stuff if you appreciate a really good quality coffee! As such I highly recommend this course for all you coffee lovers. Its informative and hands on, you get the chance to taste (slurp as they say) lots of different types of coffee and explore how influential you can actually be over the flavour by playing barista and brewing our own coffee. As a result I have a new found respect for barista’s and quality coffee. Big thanks to Chris who’s fun delivery of the course heightened the experience. I’ll definitely be back to try another of their courses soon. That’s great! Dreaming already of that beautiful smell of coffee.